Where Have the Rhinos Gone? Today is World Rhino Day. It celebrates all five species of rhino: Black, white, greater one-horned, Sumatran and Javan rhinos and was first announced by WWF-South Africa in 2010. South Africa is home to over 70 percent of African rhinos, the endangered species whose number dropped sharply to under 20,000 due to rampant poaching. Poaching has become the leading threat to the rhinos’ survival, with official statistics indicating 1,215 rhinos were killed for their horns in South Africa in 2014. And a view of the statistics only paints a grim picture. Poaching operations used to be based in Mozambique and launched into South Africa from the east. Now, they say most poaching operations here are increasingly launched from the western side of the reserves, from South Africa’s heartland. 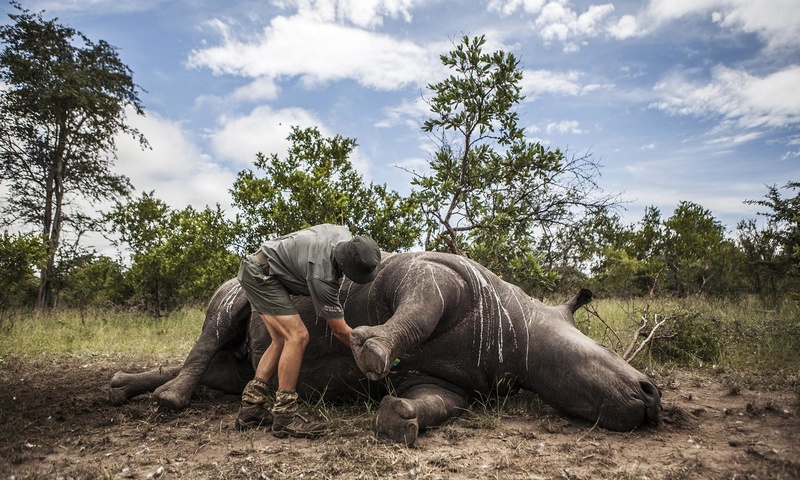 In South Africa’s iconic Kruger National Park, 750 rhinos have been poached this year alone. Last year 1,215 were slaughtered across the country — that’s one every eight hours, according to Save the Rhino.Poachers normally work in small groups, with a heavy caliber weapon to shoot the rhino, and small arms to protect against rangers like Preston. For many, the prize is worth the risk. Rhino horn fetches more than its weight in gold in Vietnam and China, driven by an insatiable demand where it’s prized as a sign of wealth and mistakenly believed to have medicinal properties. CNN brings you more figures here. ← What’s the Tree Population?